American continues to upgrade their product. A few weeks ago they introduced new amenity kits and now they’re introducing new dining options. Unlike previous improvements, even the folks at the back of the plane will benefit. 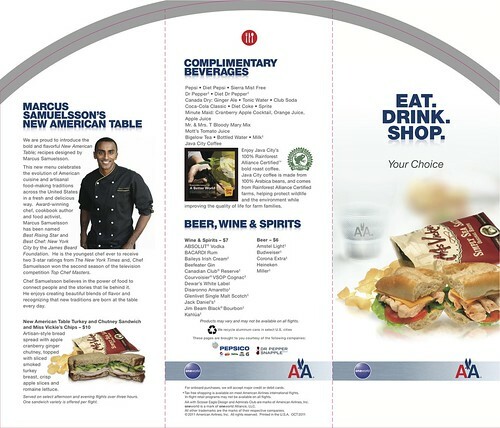 American Airlines is collaborating with Chef Richard Sandoval and Chef Marcus Samuelsson to its inflight dining program as part of the airline’s ongoing effort to enhance and differentiate the onboard travel experience. 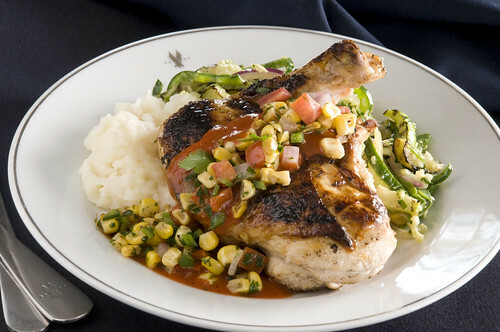 On Oct. 1, American will begin offering signature menu items designed by Chef Sandoval onboard flights between the U.S. and Europe, Asia and Latin America in American’s premium class cabins. Also beginning Oct. 1, American will debut the New American Table menu featuring original creations by Marcus Samuelsson. 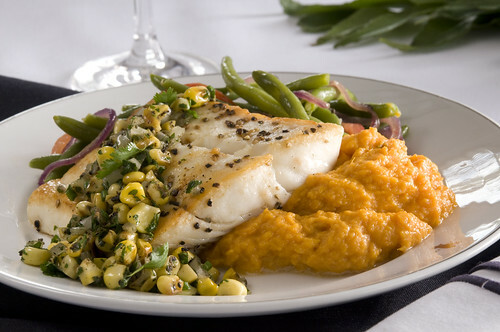 Chef Samuelson’s offerings will be available for purchase on domestic flights more than two hours in length as part of the main cabin dining program. I’m a fan of American’s premium class dining product (except for the 3 meat sandwich, the idea of which kind of weirds me out – but that’s a personal issue:-) and I think that they do a great job feeding the minority of folks that get to ride up front. It’s good to see an improvement than benefits the majority of their customers that ride in the back of the plane. I would however like to see a better snack selection in coach. I’ve been lucky this year (despite dropping to AAdvantage Gold) to have most of my upgrades clear. But on those occasions when it didn’t happen, it seemed that there wasn’t much of a snack selection on those flights except for salty potato chips, nuts, a cheese & cracker mix and the cookie (which actually isn’t very good and proves that it is possible to make a bad chocolate chip cookie). 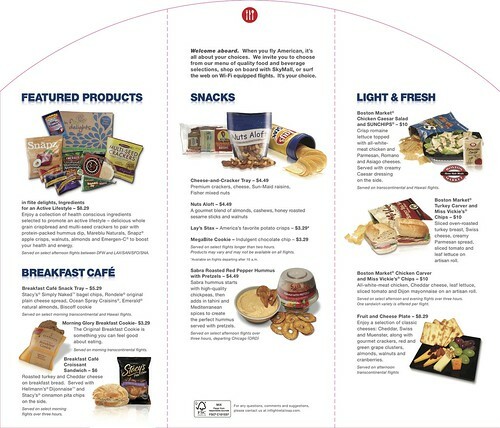 I’d like to see American offer some of the healthier snack items that they sell on California flights on some of their other routes. Anyway, enough of my whining. Go here to read the chef bios and here for more details. Only until the APFA starts whining about how much burden this will have on their workload and make nonsensical comments about how this will result in safety concerns. Nonetheless, I am really thrilled to hear about the positive strides AA executives are making to bring their product up to par with their OneWorld counterparts. Axe to grind much, Golfingboy? @ Golfingboy – I’m happy to see that despite their financial challenges, American is investing in new planes, service upgrades, and improving their product. Always glad to see improvements in the rear end’s food offerings, but I still orefer to bring my own. 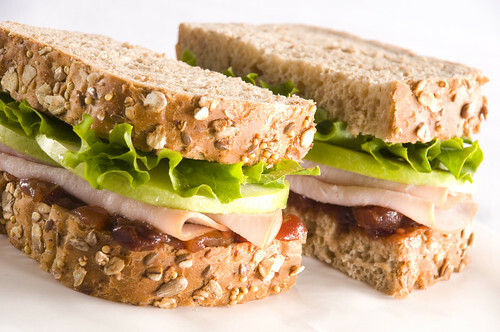 That $10 turkey & chutney sammich looks fairly good in the promo shot, but WAY limp on the turkey. It is a real stretch for $10. I had one a couple of days ago, served on the Ex date and it looked a whole lot different. AA and others are not just covering their costs with these min portions of mostly junk, but are turning substantial profits. 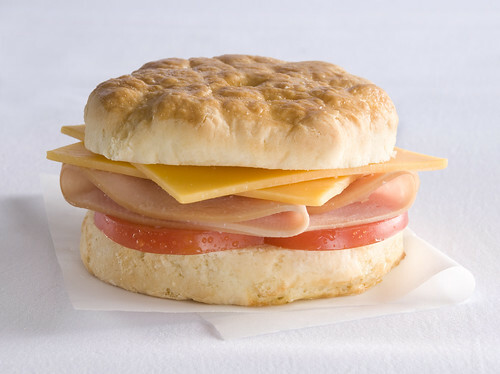 That $10 sammich cost AA all of about $1.18, so they should at least be serving fresh examples. Bring your own or, better yet, eat a meal before heading for the airport whenever possible. Eating landside in most airports is better than on board, but not by much. @golfingboy – That was exactly my first thought when I read the title! So nice to see them keeping the premium class quality up. Reminds us why it’s so important to have good healthy competition among several carriers. United/Continental — are you listening? Those United legacy business class meals are a disgrace.